I was asked how I built my stockpile to this level. I realized it was an answer for a post, not a comment, because it was a little too involved. 1) I buy in bulk. Rob really buys in bulk. For instance, a while back, he saw a 50 pound bag of white rice for around $21. Yes, 50 pounds! It does not go bad quickly, so is still fine, and we are eating from it often. I buy 25 pound bags of pinto beans, black beans, navy beans, split peas, sugar, brown sugar, and popcorn. I repackage these items into glass gallon jars, plastic ice cream buckets, ziplocks, etc. Things that go rancid sooner, such as brown rice, I usually buy in 5 or 10 pound sizes, although I have bought that in the 25’s once or twice. I buy cases of things I cannot can or freeze myself, such as mandarin oranges and mushrooms, when they are on a good sale. I even buy produce in bulk, during the winter. For instance, a 6-pack bag of romaine at Costco or Cash and Carry is a lot less expensive than buying the heads singly at the store most of the time. 2) We grow as much as possible ourselves and store it. Rob has raised turkeys, chickens and pigs to butcher. We raise chickens for eggs and usually do not have to buy any for years at a time. We don’t get a lot of them during the winter, but I think I’ve only bought 2 cartons during the last 5 years or so, except for recently. We grow a very large garden, which includes berries, and can and freeze a lot of it, and also eat as much as we can fresh. I can hundreds of jars of fruits and vegetables each year, and we currently have 4 freezers full of meat and produce. I process produce early in the morning and late at night during the peak of the season. By the time I plant, weed, water, pick and process, I have many, many hours into my end product, but it’s worth it to me. I know what’s in it, and where it came from . The home-canned tuna is some we bought from a fisherman at Newport, Oregon. I also got some salmon this past year from the Indians at Cascade Locks, but we froze that. We are moving this year, so I anticipate using up the excess and going back to bulk canning and freezing next year. I do not know if we will have property to raise meat or not, until we see what we get for our next home. We sold the chickens for the same reason. 3) What I cannot grow, I usually scrounge from friends and family. For example, my sister has a peach farm, and gives me all I can use. I am willing to drop my daily plans and scurry over to someone’s house to pick the produce myself. I am willing to go whenever is convenient for them, even if it means changing my plans. That’s a big one. I cannot tell you how many people would love to have some of my excess garden produce, IF I deliver it to them, which usually means picking it on an already busy day and driving a distance to deliver it. (I’m not talking about when I’ve offered to drop something by someone’s house–If I offer, I have time) Very few are willing to come get it, but that’s why I’m an easy person for others to offer the extra produce to. On the rare occasion that I cannot grow or scrounge something, I u-pick it or buy it at a farm stand for a low price. The area of Oregon that we live in is very fertile, and things grow well so are quite reasonable in price when in season. Pears and Gravestein apples are 2 things I usually buy, and I buy them by the bushel for around $20-$25 a bushel. 4)I watch the sales carefully and buy a lot of things we use frequently when they come on sale for a low price. Cheese and butter are good examples of this. I have purchased 8 bricks of cheese before during a week, if the price is low enough. They store well. I may have to go back a lot, or send Rob, but–hey, Lovana works at a store–we are there a lot picking her up. If I can’t afford a lot of something, and it’s a great price, I buy 2. One for the current meal, and one to store. 5) If I have extra money, I often buy a bunch of things from Grocery Outlet, Wheeler Dealer (scratch and dent store), or other places that may have high-quality products for cheap that are close to date, or they are changing the label on, etc. I especially get items to pack lunches and organic or gluten-free items that way. Last, but not least, I use my stockpile. I store things I use, and I use what I’ve stored. I look at what I have before I plan menus and plan the meals around what’s in the freezer, cupboard, and garden, and go from there. I rotate things and clean and sort and organize it every year, usually late spring so the freezers are ready for the new crop of garden veggies. Very informative – and I could learn a lot from you. There is a “bulk” store where we can purchase as little or as much as we want of dry items like beans, flour, sugar, etc. But it is so far away. It would take, with traffic, about 40 minutes just to get there. Before we moved into the camper, I found that I liked to can things. Its hard to do that now. Once I am in a house again, I will need to revisit this post!! I loved my canned tomatoes!! So much better than what you buy, processed, in a store. I was just getting into it when we decided to move. It will be something I do again once we move into a home – whenever that may be! I love canned tomatoes and tomato products as well. I’m also extremely found of home-canned green beans–so much different and better than the store ones. I love the tomato products and soups!! I also liked making pickled okra. I still have one can of that left and a can of pepper jelly. 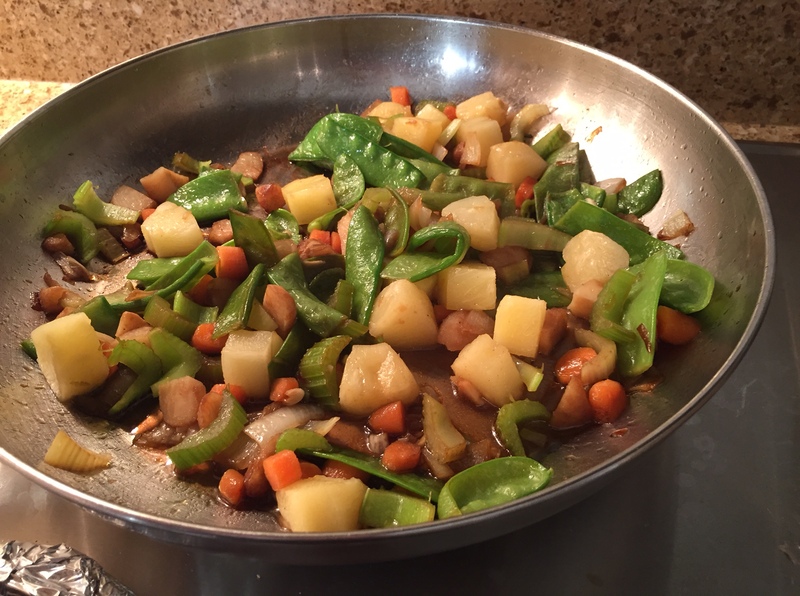 The green beans are awesome – we liked those too. Ugh, so much miss it. I’ve got to say I’ve never had okra. All I’ve heard is that it is slimy, but I don’t know anyone who has ever grown it around here. It can’t be too bad, or no one would grow it, right? I think it takes more heat to mature than I get in my part of Oregon. I live in the rainy, moderate, cool-summer part. I am not sure what it takes to grow it. Yes, it can be slimy when you are cutting into it before being cooked. Its not the healthiest (and we dont eat it like this but maybe twice a year) when fried – but OMGosh – so good!! I dont think it is slimy when you pickle it either. 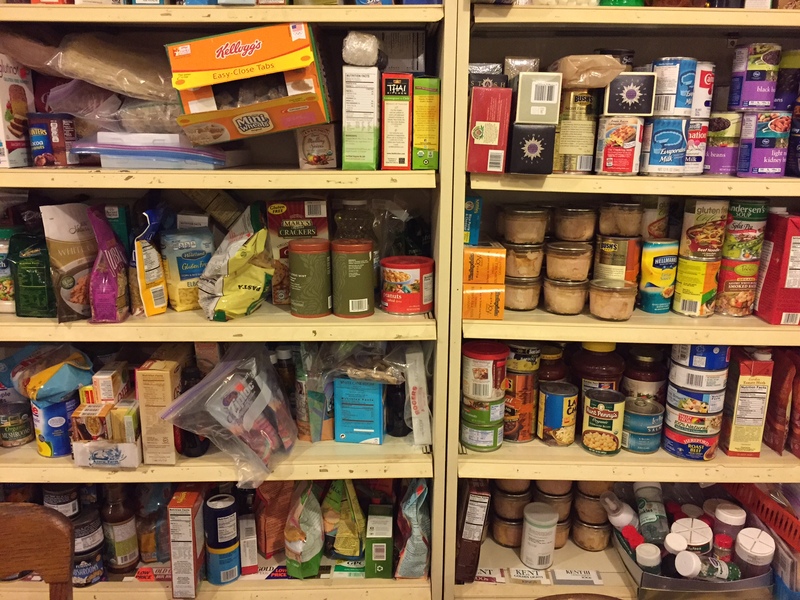 Wow, what a great post on building a stockpile!! I really appreciate you writing all of that out, especially when you are so busy packing and everything. Thank you so very much! I love what you said about your storage being your savings in the bank. You know that you will be able to feed your family. Very inspiring! I’m going to work on building up my pantry; it will be a little at a time but I think it will give me some peace of mind. Thank you for your encouragement. I cannot tell you how nice it has been to not worry about food during these past months of my husband’s job loss. It just has never been a concern, not even once. Even 25 or more years ago, when he was in college, we never went without. My stockpile was not at all this big, but I always canned garden product and fruit. One winter when he was in school, we ate only the home-canned fruit because that was what we could afford. The exception that winter was 1 bag of oranges (about 3 lbs.) and 1 bunch of bananas. Otherwise, the fruit was canned. We had 3 girls at that time. No one ever went hungry. As we have had more money since then, we have bought quite a bit more fresh fruit. The good news is, though, no matter what his job ends up being, or how much he makes, I know I can cook for very little out of pocket, and that’s a good feeling. I anticipate I will hit the stockpile hard this summer, and fall, as we get re-settled. But, that’s ok. I will rebuilt it little by little. Since I am single I do not need the surplus your family uses, but that does not mean I cannot apply it to a smaller quantity, still using the buy it on sale process. Is the area where you store your food (current house) cool? I have a garage that I could install shelves in but it will get relatively warm in the summer. How do you handle that? The current house is under a lot of trees, and is in the foothills of the Cascade mountains, so it never gets as hot here as it does other places. It can get to 100 a couple of times during the summer, sometimes, but mostly is temperate. I store my freezers in the garage and the shelf unit pictured above. I also keep the glass jars of dry beans, etc. in the garage on different shelves, and in some huge tin canisters we recycled from VBS curriculum over the years. The tins are on the concrete floor, which stays cool. They are filled with ziplocks of sugar, etc. Sugar, brown sugar, dry beans, split peas, white rice, etc. never seem to go bad in there for several years. Things that are more delicate, such as a ground whole-grain flour (brown rice, 1-1, etc. ), I keep in the freezer so it doesn’t go rancid. (Before they discovered that it was wheat that was making me so sick, I always used a lot of whole wheat flour and that easily turns rancid as well, so I kept a short supply out and froze the rest.) Whole brown rice is kept in a smaller supply, and some jars are in the house, which is air conditioned, in the pantry cupboard. I have one bin that I keep the current supply of gluten-free flours in and it has kept them fine. I don’t keep a large supply of any of those unless I freeze them. Bob’s Red Mill is only 45 minutes from here and some of my kids have therapy very near it, so I can get there quite often. We will see how that works in the future as almost everyone is graduated from therapy for a while. (yea!) I saved that bin to keep handy to use up over the summer. My home-canned fruit is all in the basement, which stays nice and cool, even on the hottest day, and fairly warm no matter how cold it gets. It those jars get too hot, they will pop their seals and will get ruined.